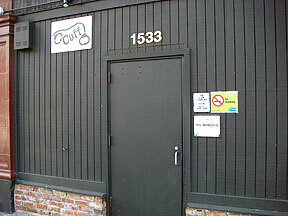 Cuff Complex (1533 13th Ave, corner of 13th and Pine). There may be a cover charge at the Cuff Complex on Fridays after 9:00 pm. Our DJs are pleased to take requests; tipping them is recommended; favorite ccountry couples dances like two-step, waltz, and West Coast Swing, often with a line dance as well, followed by open dancing from 8:15 to 10:30 pm.